Spring is here! That’s reason enough to celebrate, but the season is also filled with special occasions to share with our families: Easter (April 21), Passover (April 19 to 27), Mother’s Day (May 12) and Victoria Day (May 20). These springtime holidays and events often involve much-anticipated family traditions, such as a large Easter dinner or a special Mother’s Day outing. Over time, however, it can become difficult for aging loved ones to take part in the festivities, due to reduced mobility, lower energy levels or cognitive challenges related to dementia. Talk to family members about which traditions are most important to them, and explore ways to adapt them with older relatives’ needs in mind. You might be surprised. Maybe some traditions that have seemed indispensable in years past are no longer a priority. Or perhaps they could be adapted to reduce the amount of work for everyone. For example, instead of a large, home-cooked Easter feast with elaborate dishes, perhaps your family could try a buffet dinner at a restaurant. Try to prioritize spending quality time together over doing things the same way you always have. Enjoy time outdoors. A family picnic or barbecue at a park or conservation area offers plenty of activities for different generations, including nature walks, birdwatching, sports and games. Look for places that have paved walkways, accessible washrooms and other helpful facilities. Spend quiet time together. Instead of (or in addition to) a large family gathering, your senior loved ones might appreciate visits at home one-on-one or with a smaller group. 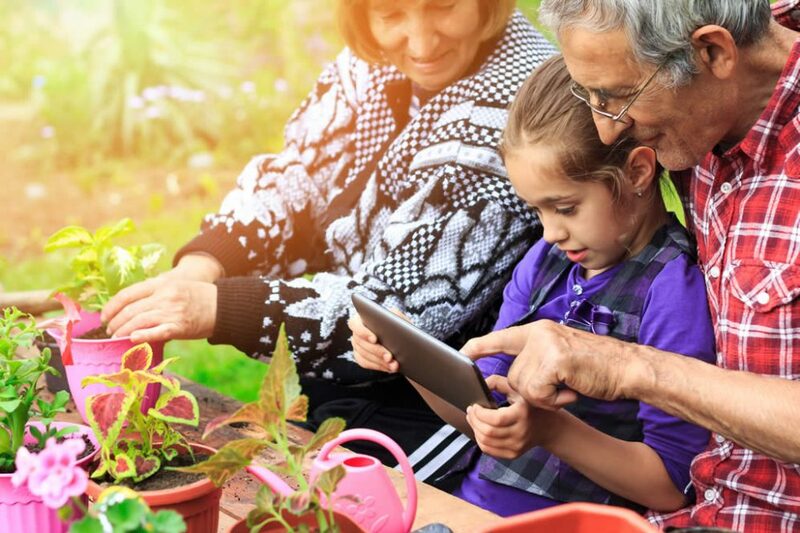 You could chat about what the grandkids are up to, look at family photo albums, bake cookies, create a scrapbook, watch a movie, make crafts or do other activities they enjoy. Learn something new. Could young and old family members teach each other a skill or game, or could they learn something new together? Could family members take a fun art class together? Visit a local attraction. Museums, galleries, public gardens, city walks, concerts and festivals may be appealing to your family. Look for seasonal events, and ask about seniors’ discounts and free admission days. Plan a multi-generational trip. These days, many hotels, resorts and cruises cater to large family groups, with a wide range of activities, dining options and accommodations. Learn more about planning a family trip. These are just a few suggestions. Read more great ideas for spending quality time together, and use your imagination! Will she need accessible transportation to get there? Would renting or borrowing a wheelchair for the day help her stay out longer? Would she benefit from having a personal support worker present for a few hours? When does she have the most energy? Does she have medical or dietary needs to keep in mind? What is the backup plan, if she needs to go home? Don’t be overly ambitious for the first event – for example, plan something just a few hours long, not all day, and do something locally rather than travel far. Things may not go smoothly the first few times your family tries something new. That’s okay! Ask people to share ideas on how to make things easier next time. Remember, it’s quality time together that’s important, not planning the perfect celebration.